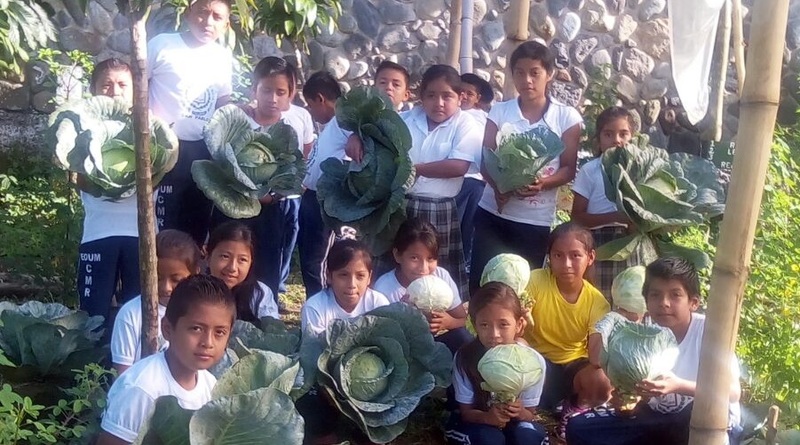 Fourth grade students from Escuela Oficial Urbana Mixta Clemente Marroquín Rojas, located at San Pablo, San Marcos, are actively involved in the activities of Funcafé´s Food Security and Nutrition programs promoted by the Rural Value Chains Project –RVCP-. These actions have taken place since 2014, students and teachers have organized several activities to produce their own vegetables. Currently, they have a 400 sq. meters orchad in which they have cultivated vegetables and native plants for personal consumption and sale. They also prepare nutritional snaks for comsumption during school hours or for the school´s bake sale generating additional incomes that allows the sustainability of their actions. Members of Funcafé provide technical assistance to introduce new technologies and improve practices.